Angry Birds. If you’ve been hiding under a rock for the last year, Angry Birds has swept the mobile gaming world by storm. But for those of us with phones that can barely take pictures, we’ve been out of the loop. I was only able to play it by buying it for the Playstation 3, through their online store. 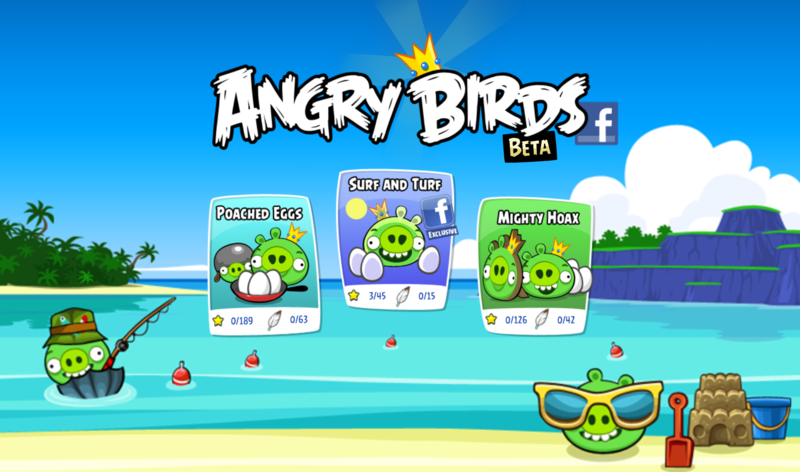 So, in a nutshell… what is Angry Birds? It’s a basic catapult game, where you launch something towards something you’re trying to destroy. 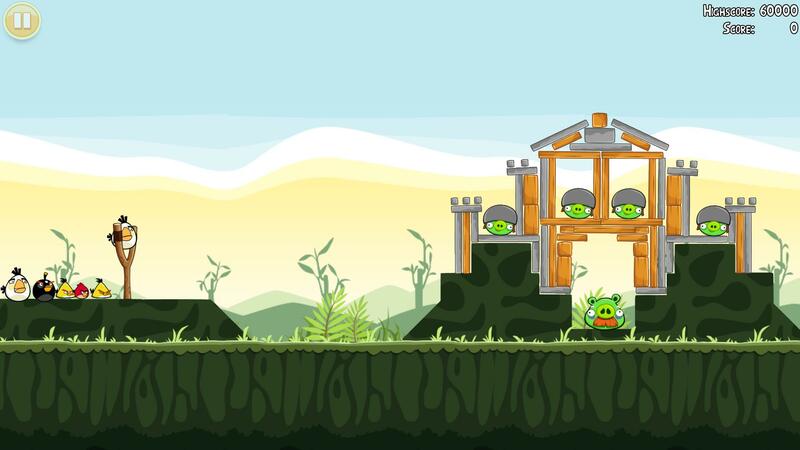 In this game, you’re launching birds at buildings constructed by green pigs (don’t question it). Each type of bird has unique abilities, so there’s an element of strategy, as you choose how to use each bird in your arsenal. For instance… The yellow bird is good at breaking through wood and you can use a boost which launches him even faster in a straight line. If he hits an ice obstacle, he does little damage. The small blue birds though break through ice like nobody’s business. So, now that the game has come to Facebook, is it worth checking out? For me, absolutely. It’s a simple game that you can easily hop in and out of and it requires zero dependence on having other Facebook friends that play. You don’t have to spam anyone’s walls and you don’t have to invite them to do anything. With that said, the way that they’ve integrated your Facebook friends is smart and still engaging. Since I never played on mobile devices, it might be similar. When I play a level, it tells me what friends have played it and what their scores were (and even gives the top 3 scorers for that level). Even if I “pass” the level, there’s still incentive to go back and beat their scores. It’s not intrusive, but smartly uses the Facebook platform to encourage you to play and beat others’ scores. I don’t know why anyone would dislike this game. It’s so simple that it requires minimal effort but it also allows for more challenge when trying to beat other people’s scores, so it caters to a whole range of gamers. There’s also Facebook-exclusive levels that aren’t on mobile platforms. One other thing that distinguishes from the version I played on the PS3 is the addition of bonuses/upgrades that you earn by regularly playing. One special makes your birds larger, so they do more damage. Another bonus adds a visible trajectory marker, so you can actually see where your bird will land. These bonuses are rare though, so it actually takes some thinking as to when you use them. I went crazy and used up all mine on the easier levels, when I definitely could use them when trying to beat scores on the harder levels. 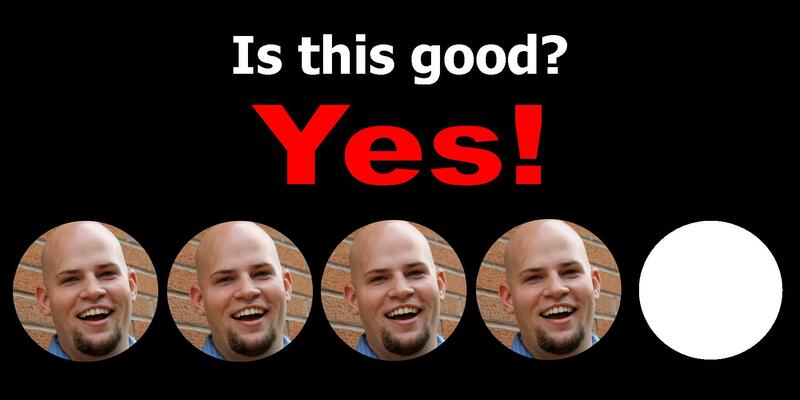 What’s the good? It’s a fun and simple game. I would challenge those of you that might be put off just because the game has gotten such mainstream attention. It’s for a reason. It also smartly uses the Facebook platform in a cohesive and not intrusive manner. What’s the bad? The amount of levels is much less than the mobile versions (probably trying to get you to still buy those versions). I completed them all in just a few days, though getting all three stars on each level is much more difficult. It’s fun. It’s free. And it’s on Facebook. Why not play it? It’s perfect for when you have 5 minutes to kill or a whole afternoon. It’s simple to learn yet much more difficult to master. I approve. This entry was posted in Facebook and tagged adam ryen daniels, angry birds, facebook, i am your target demographic, review. Bookmark the permalink.